BeeCee here. I thought I would post up my Hierodule list for a quick update. Life has been exceptionally busy and my brain is too fried right now for a "proper" post so I figured I'd go with a good old army list! 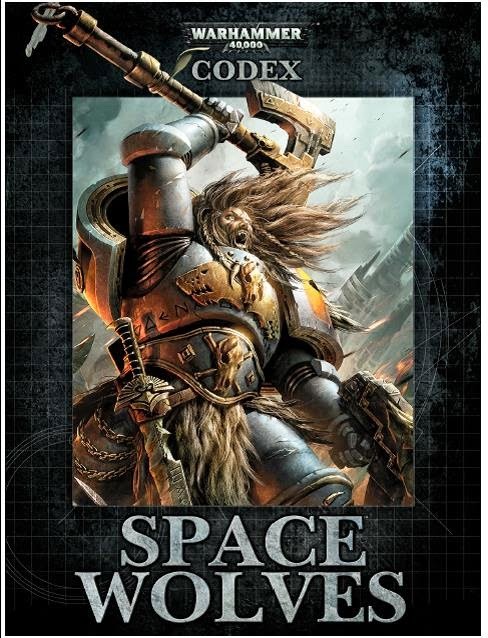 The Renegade Open is 1850 points two sources and you can self ally. I have opted to self ally to get that third hive tyrant in to my list. What's up everyone? So on the upcoming podcast, Evan has been pushing me to run more Wolves, specifically Thunderwolves. I love the idea, but I have found myself wandering back and forth from wanting to add in more Thunderwolves while also filling my need to have an army that is to my style of strong variety. Recently though, I have started to think about what Evan has said.....I need to add in more Thunderwolves; Wolves on Wolves with Wolves. Well I have started to convert, I have given in to the pressure, and I have started to think of adding in more strength 10 (or 9 depending on your interpretations) Wolves. My local store's 1k Tournament was last Sunday, and I decided to attend last second. The store is very hands off in terms of Army List rules. I clarified once I got there, but there are no restrictions, Unbound and Lords of War are completely allowed. With that in mind, I decided to be goofy and run my Transcendent C'Tan in a 1,000 point list. I did make it a bound list, though. 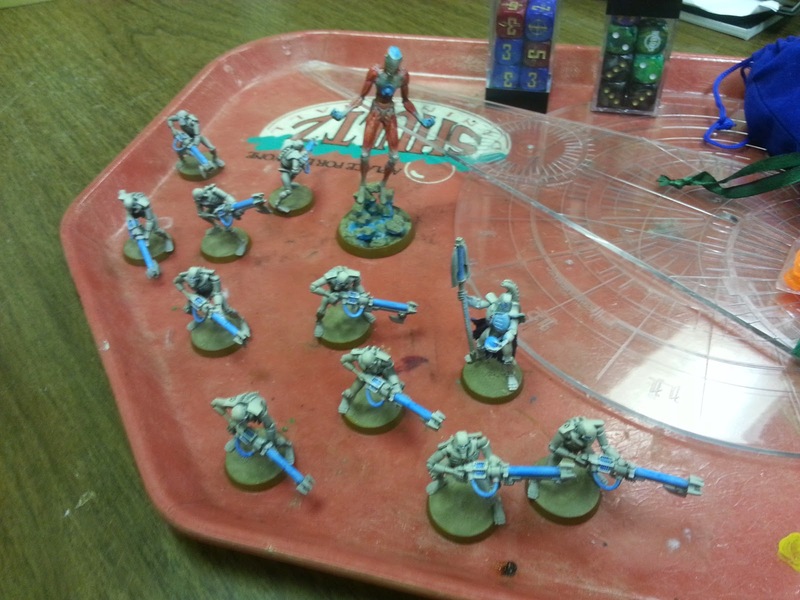 I also brought a normal 1,000 point Necron army in case there were objections to me bringing such a ridiculous list. Do Characters on Thunderwolf Mounts with a weapon that doubles strength strike at S9 or S10? I've heard this coming up more and more, and debated the rule all over, including with the guys of Forge the Narrative, the 11th Company, and Team Stomping Grounds. Obviously, there is debate and the answer isn't abundantly clear, but I'm here to settle it. An Iron Priest on Thunderwolf Mount hits at S10. As I concluded in my NOVA Review, I really wasn't very happy with the list I took. In part I think it didn't fit my playstyle, so wasn't terribly fun. The list also relied on a castle that really wasn't durable or mobile. Finally, while I had anti-armor available, my list was primarily anti-infantry. The games I struggled with were ones where a good portion of the enemy infantry were hanging out in transports, rendering my biovores and Devourer termagants useless. Now that I have had a week to recover and recharge, I am ready to take a look back at my first fantasy GT. 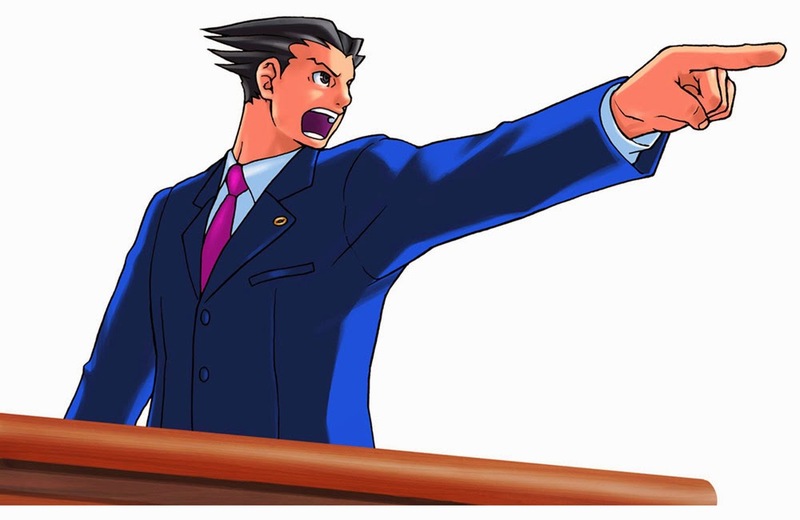 Going in I really had no idea what to expect as far as how I would do; I did well in my tournament leading up to NOVA, but I figured competition would be much stiffer… and I was right. I ended up going 1-5 for the weekend, with a couple of games that got out of hand quick. 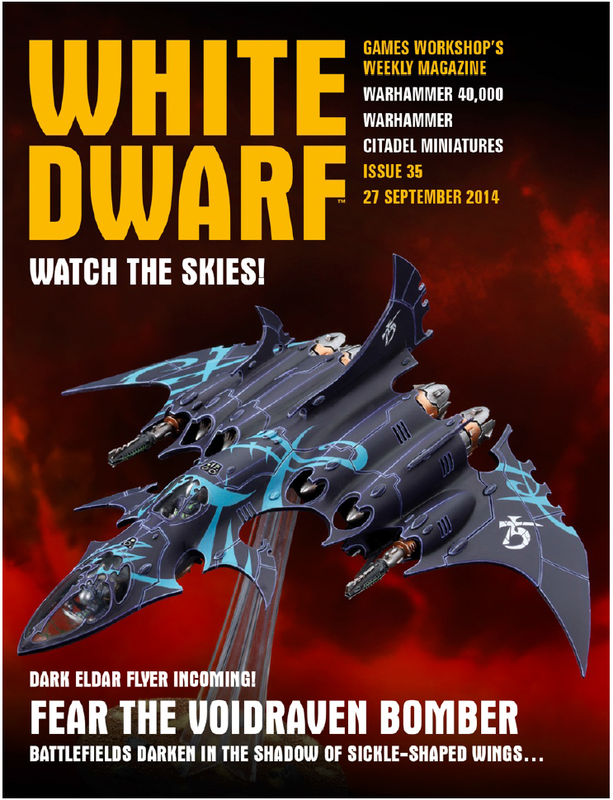 A local player from my area, love the gyrocopter conversion in the top left! 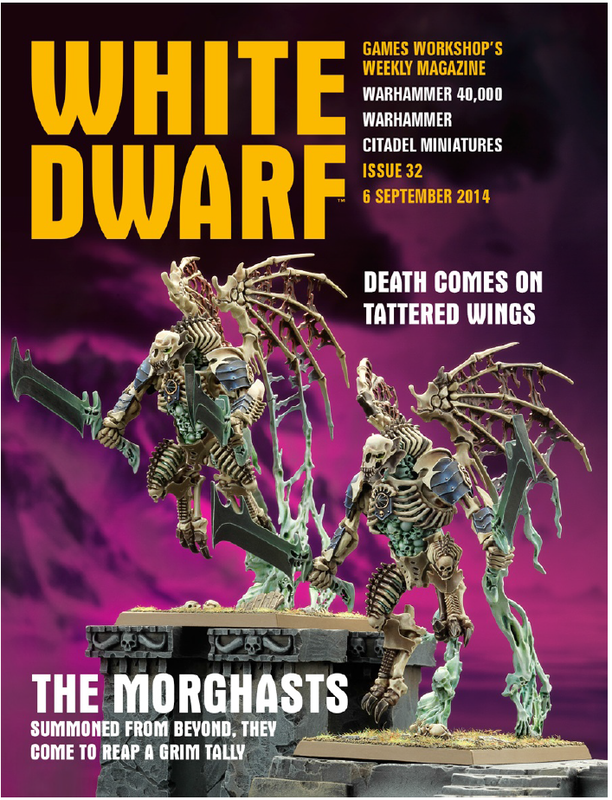 This week's White Dwarf features a couple more of the absolutely brilliant Undead/End Times/Nagash models. This time it's Morghast Archai and Morghast Harbingers. I'm a Hierodule! Rough WIP update. Renegade Open GT prep has begun and I am working on the Barbed Hierodule I am taking as the centerpiece to my army. I have a long ways to go! I wanted to share a few rough WIP pictures to show progress and get feedback. Firstly, this is the first gargantuan creature I have ever painted and I wanted to really try to take things to another level. 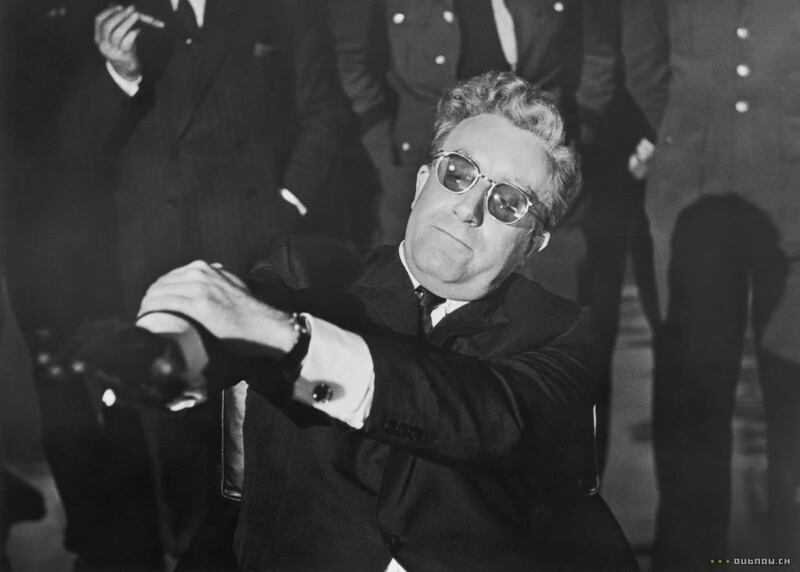 My most recent article is up on Torrent of Fire. I took a look at the numbers from the NOVA Open GT and how they compare to 7th Edition data leading up to it. I also took a look at how my predictions leading up to NOVA as far as the top bracket panned out. I'm fairly comfortable with the results. I had 11 of the 16 armies more or less correct. The surprise to me was no Space Marine primaries making the top bracket, though a Grey Knight list with Marine allies is close. Anyway, check out the full article for more details and analysis. Three days later and I'm still recovering from the trip. Unlike last year, I really went in for the full experience and stayed at the hotel Thursday through Sunday. I also managed to squeeze in one of the classes Friday morning, in which I built my display board with Eric from the 11th Company. Part Two of my pic dump from NOVA. 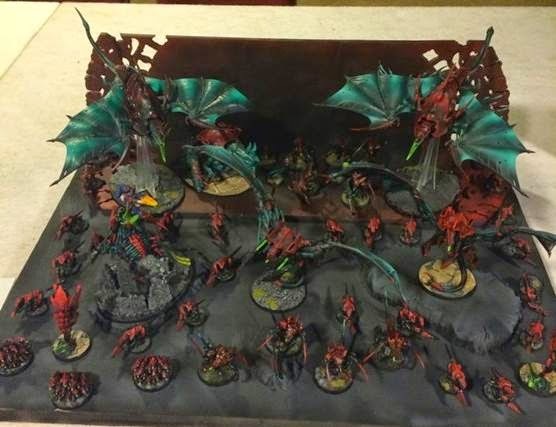 These are all from the top painted armies featured at the back on day 2 of the GT. I was honored just to be in the same company of many of these brilliant armies. 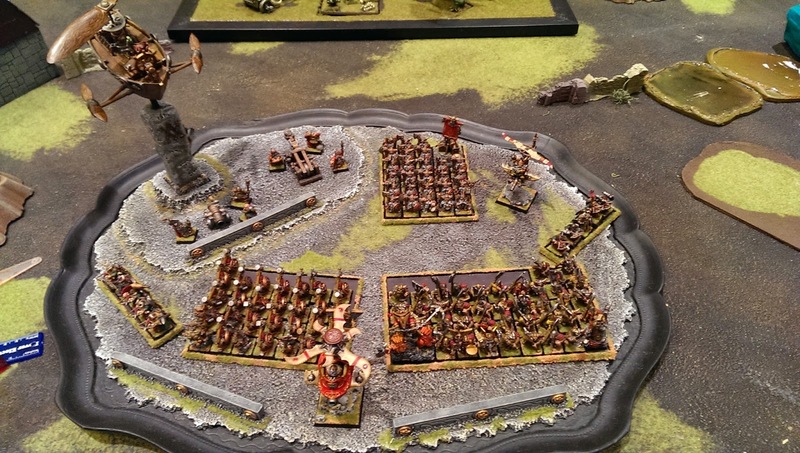 Gonyo's incredible army and display. I got home from NOVA last night around 2:00 am. 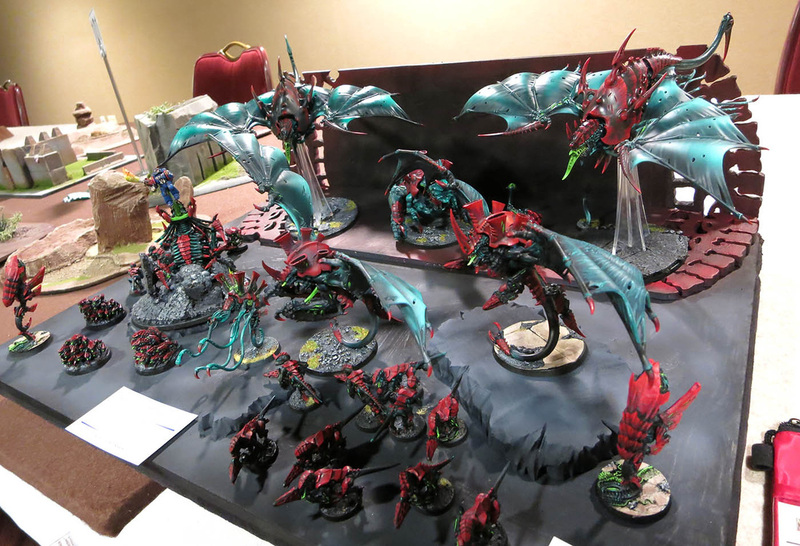 I'll look to do a pretty thorough write up later this week, but for now, enjoy a host of pics from the 40k GT.